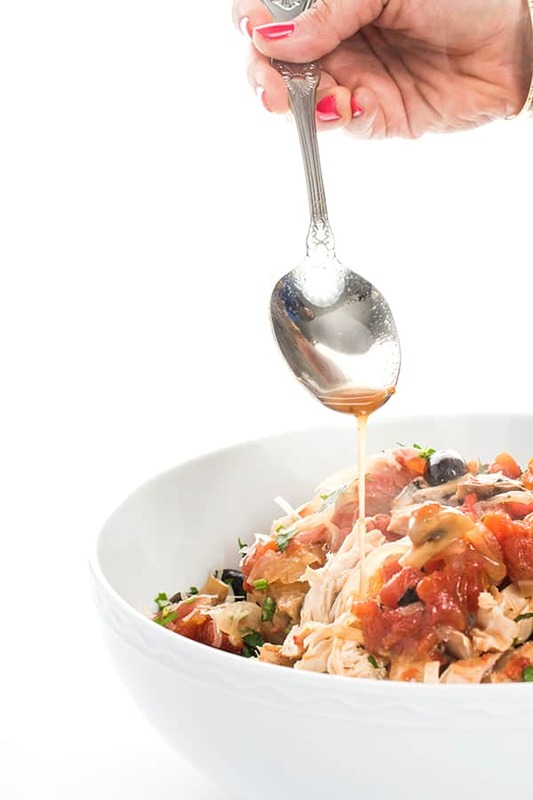 This warm and comforting Slow Cooker Chicken Cacciatore recipe is filled with bold Italian flavors, tender chicken and hearty vegetables. The perfect weeknight dinner recipe! 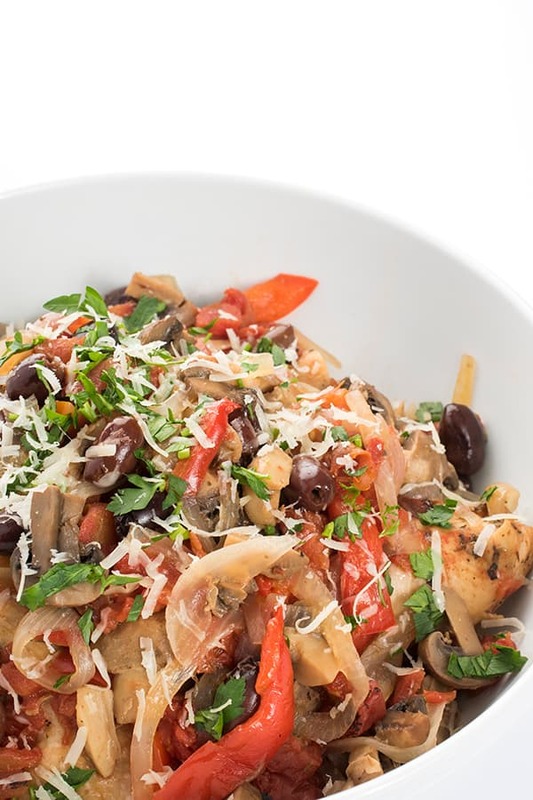 With an Italian husband, it likely doesn’t surprise you that chicken cacciatore is one of his favorite dishes. 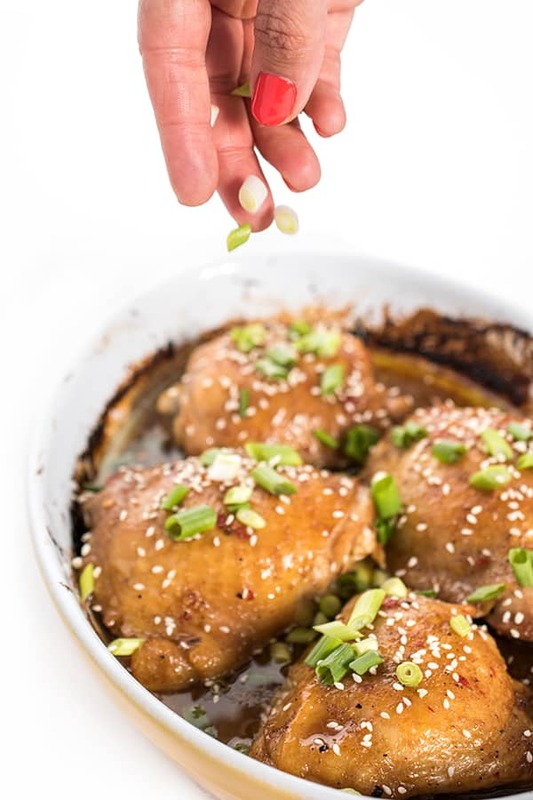 The traditional recipe requires pan-searing dark meat, skin-on chicken in a hot pan, but to save fat and calories, I’ve found a healthier (and EASIER!) way to make the Italian classic comfort dish. Don’t worry, my slow cooker version doesn’t sacrifice any of the flavor! By using bold herbs like rosemary and oregano, plus a splash of dry red wine, this dish turns out rich and delicious. To ensure super tender chicken without added fat and calories, the slow cooker is your best friend. 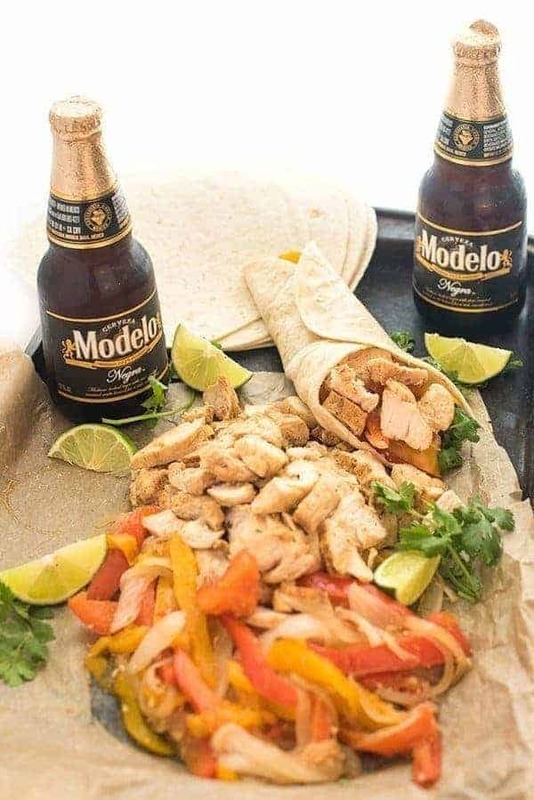 I like to use the bone-in, split chicken breasts for added flavor and richness but you could get away with the boneless, skinless variety as well. 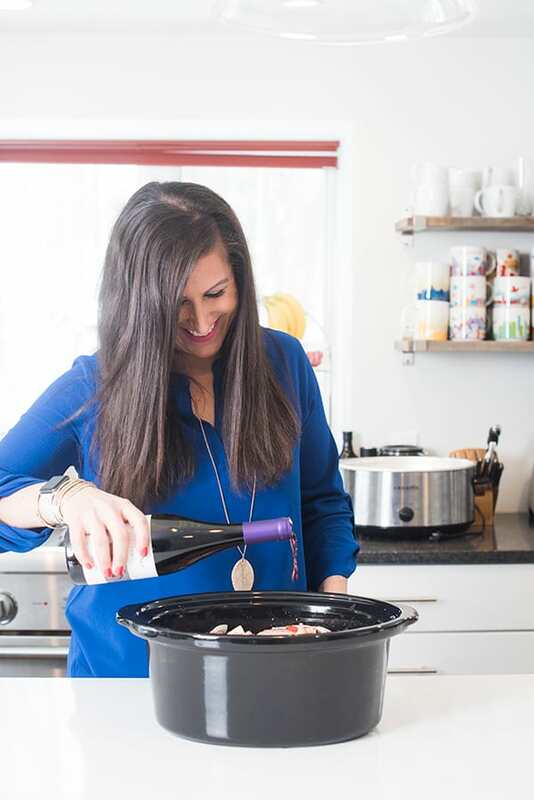 Dry red wine such as Chianti adds a hint of acidity and a depth of flavor so I like to add it in before turning on the slow cooker. If you want to avoid alcohol, chicken broth works too. 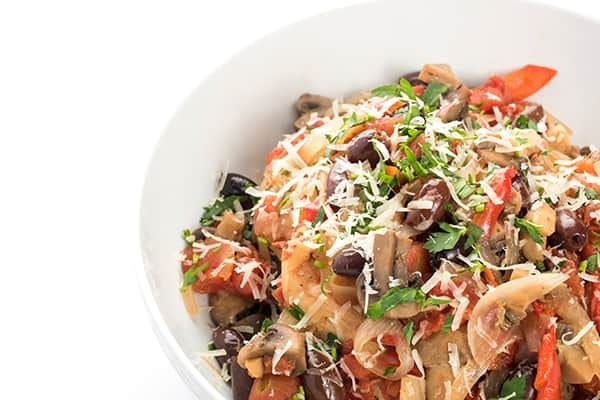 For a briny, salty flavor that balances perfectly with the mushrooms, peppers and onions, kalamata olives are thrown in the mix. To serve, sprinkle with Parmesan and fresh parsley or basil if you have on hand. A little red chili flake action wouldn’t hurt either. This warm and comforting Slow Cooker Chicken Cacciatore recipe is filled with bold Italian flavors, tender chicken and hearty vegetables. 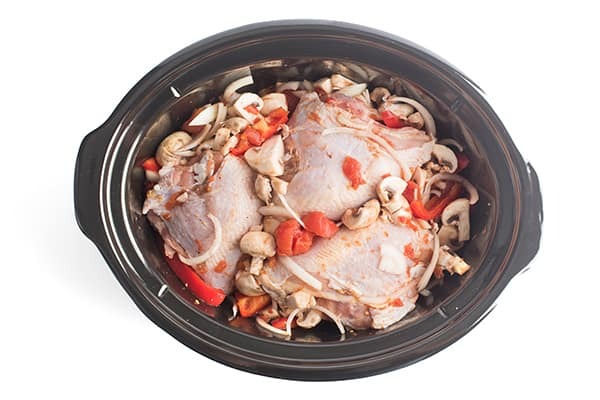 Place the mushrooms, peppers and onion in the bottom of the slow cooker insert and top with chicken breasts. Sprinkle with salt, oregano, rosemary and pepper. Add olives, tomatoes and red wine on top then toss everything to coat once. Replace lid on slow cooker insert and cook on Low 8 hours or High 4 hours. Before serving remove chicken breasts from slow cooker and discard skin and bones, lightly shredding the meat with two forks. 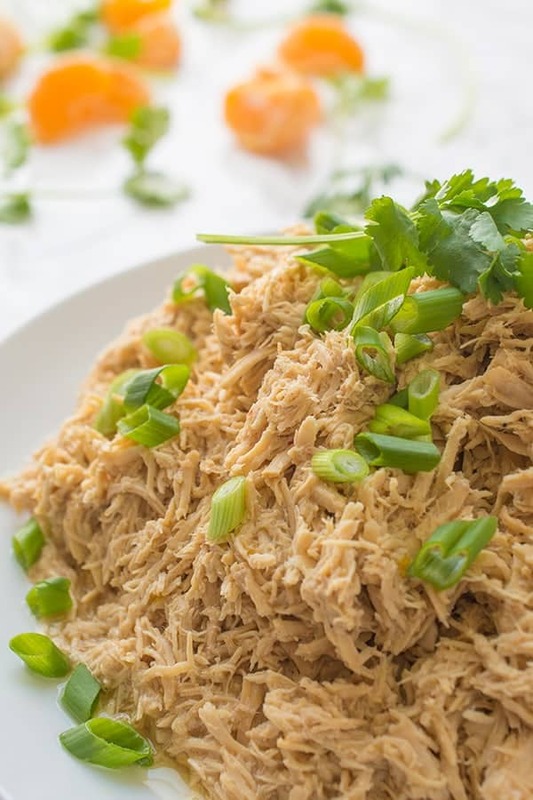 Return shredded chicken breasts to the pot and toss well. Serve with pasta or crusty bread if you wish. Dark meat chicken works well too. 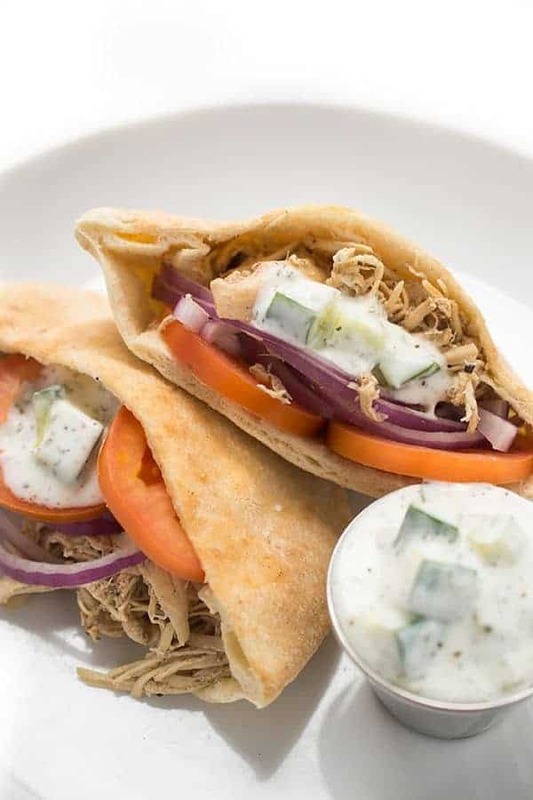 Want more delicious and easy dinner ideas?? Head to my Pinterest Board for tons of inspiration! Greetings all the way from Bucharest, Romania. Last night we cooked this recipe. It smells and looks amazing. It’s a shame we cannot post pictures. We did everything as indicated in the recipe. As a side dish, we shall made a buter and milk mashed potatoes. Thank you very much for the recipes. I’m so glad you enjoyed it! Thanks so much for writing all the way from Romania!!!! What a winner! I lucked out and bought prewashed mushrooms from the grocery store so this was really an insanely easy recipe that turned out equally insanely delicious. I used a 16-ounce box of pasta and felt like it was pasta-heavy (for my personal preference) so next time I’ll either use 12 ounces or toss in as many more veggies as my slow-cooker can fit. I’m so happy to hear you enjoyed it!!! Good idea to reduce the pasta for next time!